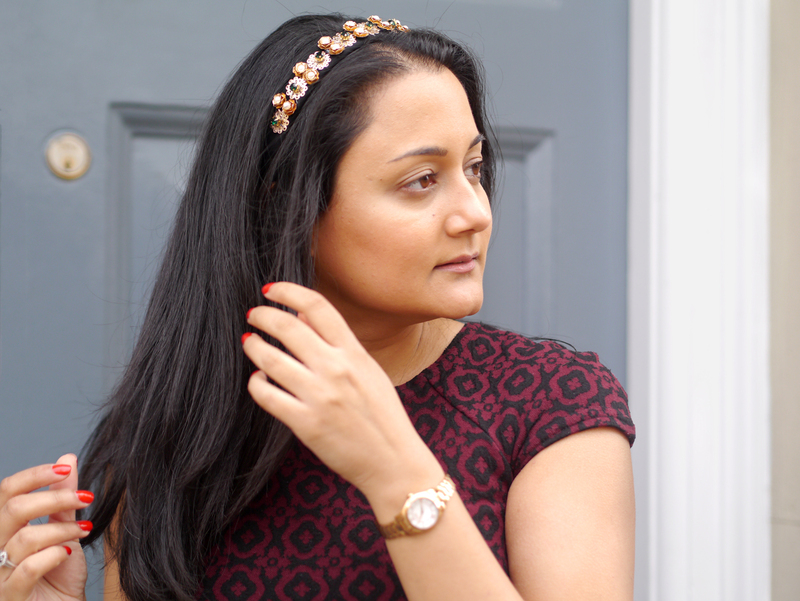 If you've been reading my blog for a while, you'll know that I always mention the importance of accessories in any outfit post. 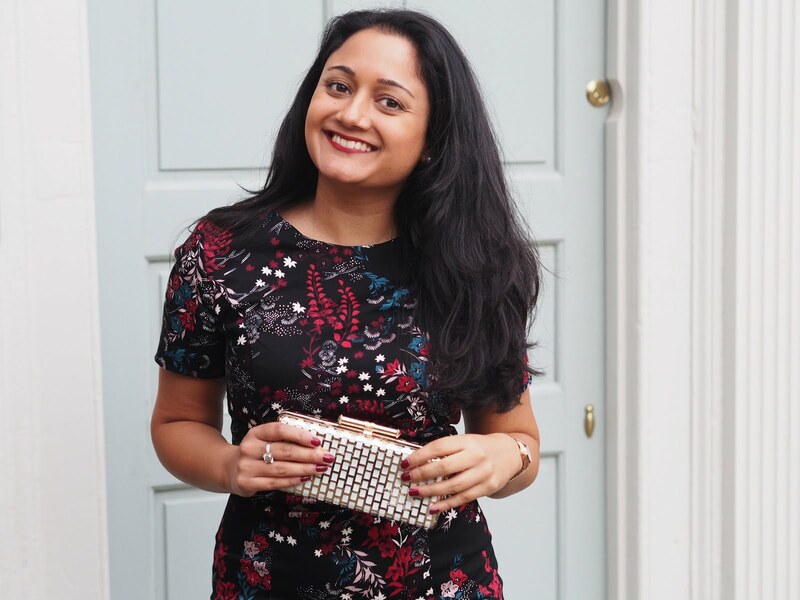 They literally transform your outfit, whether it's a designer handbag with your favourite dress, or a piece of statement jewellery with a casual day look. I recently discovered the brand Johnny Loves Rosie who specialise in premium statement jewellery and accessories. 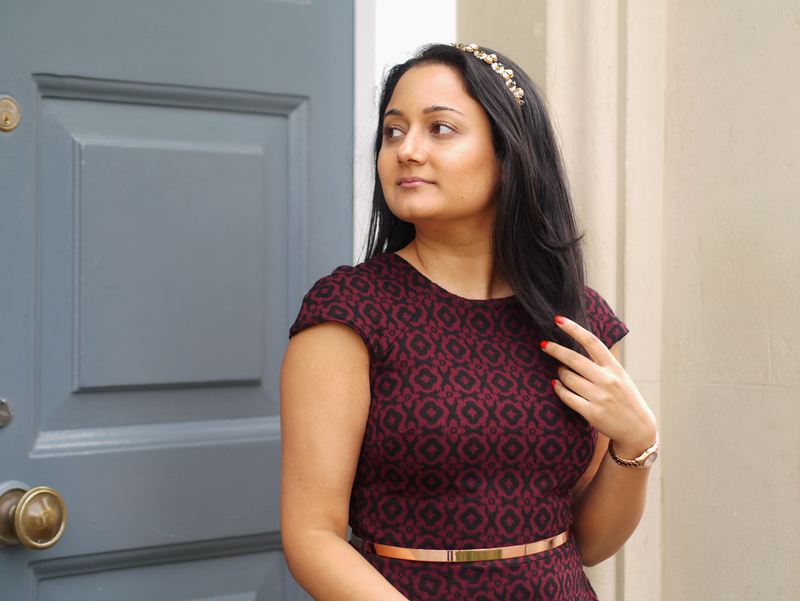 I've collaborated* with them on this blog post to show you how adding accessories can transform your everyday outfits. 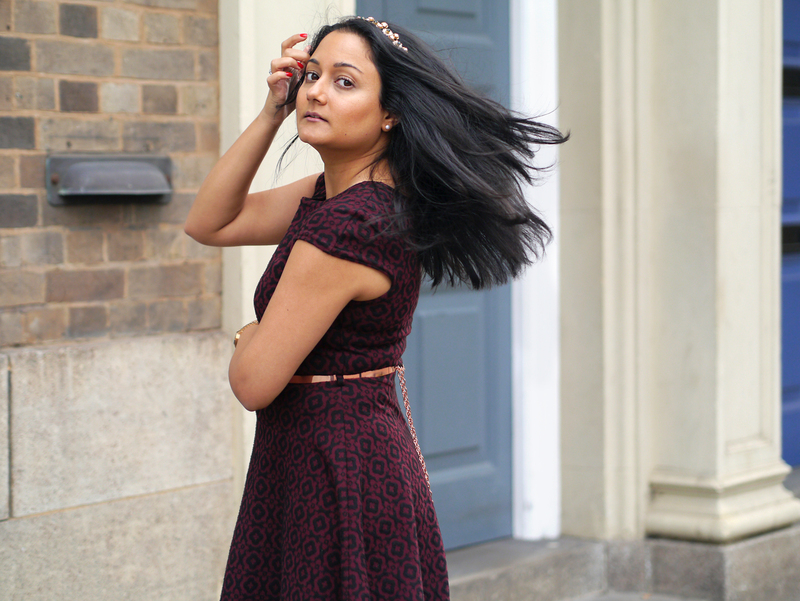 In this look, I'm wearing a berry coloured dress which is great for a casual day look, or can be smartened up for work with a black blazer. I decided to add Johnny Loves Rosie accessories to brighten the outfit. My make up was very minimal for this day look, as I wanted the focus to be on the accessories. 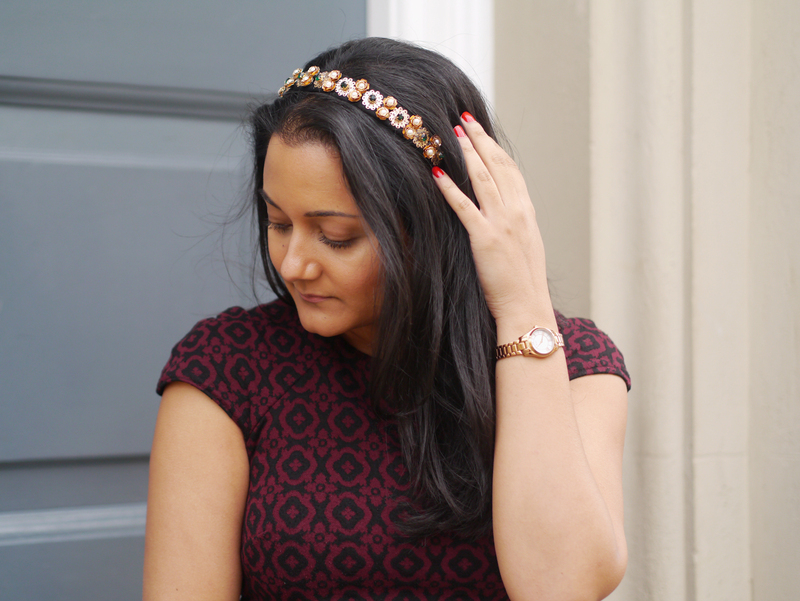 My favourite piece from the whole Johnny Loves Rosie collection is this stunning Aurora Embellished Headband. It's encrusted with green jewels and pearls and I think it looks absolutely beautiful. 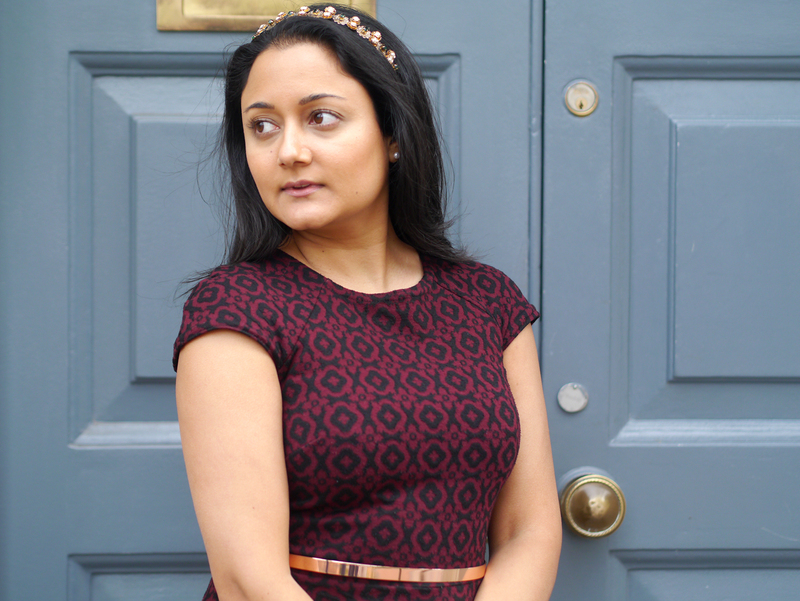 I have received so many lovely compliments when I've worn this headband including that I look like a modern day princess! I'm quite happy about that! Belts are great accessories for drawing attention to your waist and they can help to pull in dresses so that they look more flattering. 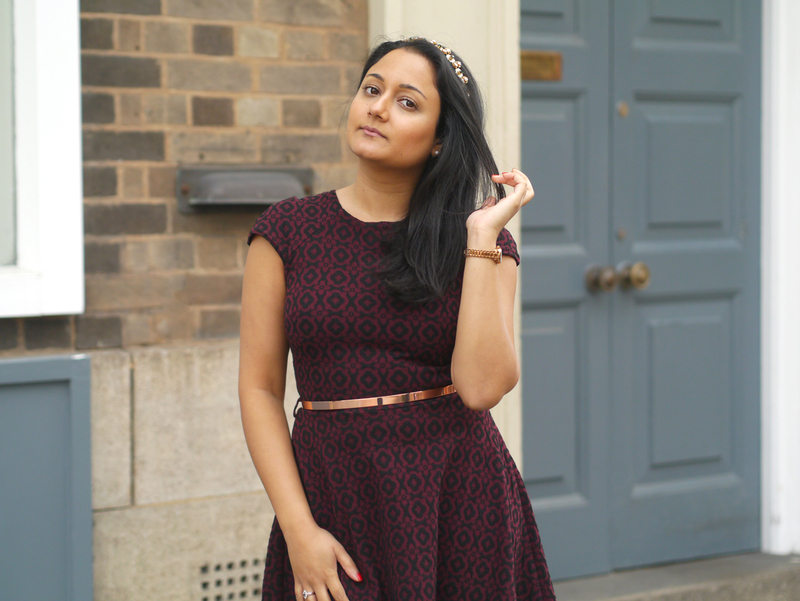 This Rose Gold Belt looks great with this outfit but I also think it will pair well with lots of dresses in my wardrobe. The rose gold tint adds a touch of subtle glamour and elegance. I really like the chain at the back of the belt as it's something different, and again helps to draw attention to it. Other accessories such as watches, earrings and bracelets can also help to transform your look. I'm wearing my Hugo Boss watch in this look, which is super smart and actually pairs well with the other two accessories. Johnny Loves Rosie also sell bags, earrings, necklaces and watches. They even have a wedding shop section on their website showcasing bridal jewellery and accessories for bridesmaids too. 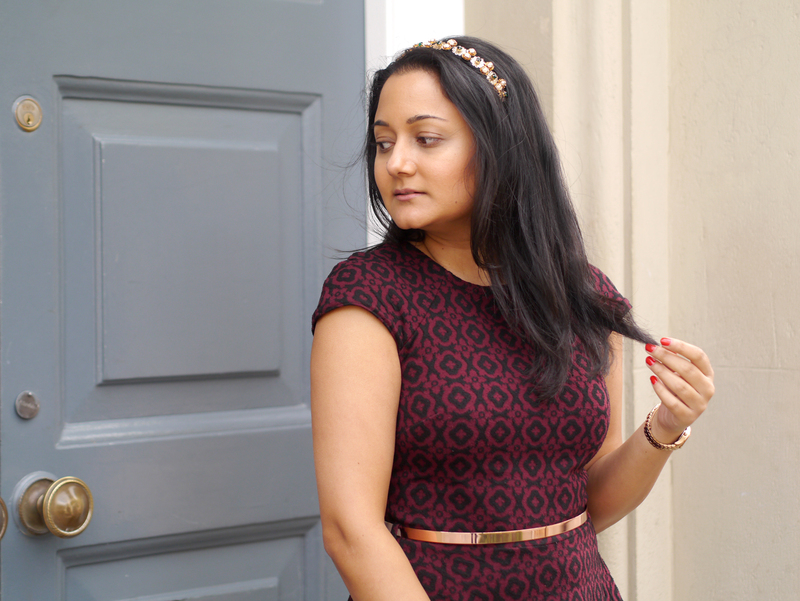 What are your favourite accessories to wear? * Thank you to the team at Johnny Loves Rosie who kindly gifted me the headband and belt. All views are honest and my own, as always.